Located in Bivio, Hotel Grischuna is in the mountains, within a 15-minute drive of Swiss Alps and Julier Pass. Featured amenities include a 24-hour business center, dry cleaning/laundry services, and luggage storage. A roundtrip airport shuttle is provided for a surcharge (available 24 hours), and free self parking is available onsite. 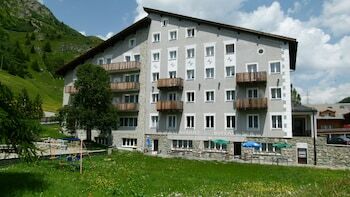 With a stay at this apartment in Vionnaz, you'll be minutes from Les Fignards - La Jorette Ski Lift and close to Tete de Tronchey Ski Lift.